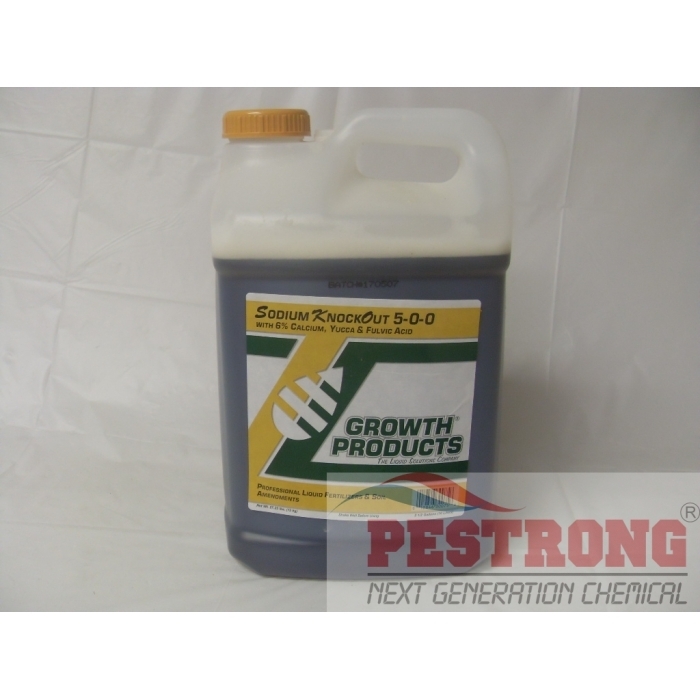 Where to Buy Sodium KnockOut 5-0-0, Sodium KnockOut 5-0-0 6% Calcium Wetting Agent - 2.5 Gal - $114.95 for Sale with Fast Free Shipping! Sodium KnockOut 5-0-0 6% Calcium Wetting Agent - 2.5 Gal is a new and unique combination product that contains readily available calcium and a natural surfactant wetting agent from yucca. KnockOut will improve soil structure, enhance better rooting, water infiltration and improve overall turf quality. KnockOut’s calcium is in a 100% soluble form that is immediately available to react with the sodium, unlike gypsum based products. It is a much safer alternative to chlorides and sulfates. Derived From: Calcium Nitrate, Calcium acetate. Great product. It provides a small boost in nitrogen, which is good, but it also gives a good boost in calcium, which is great. It provides everything I need without any additional stuff. And this stuff has a surfactant already added into this. It simplifies the application process and saves me some money too. Wonderful stuff.